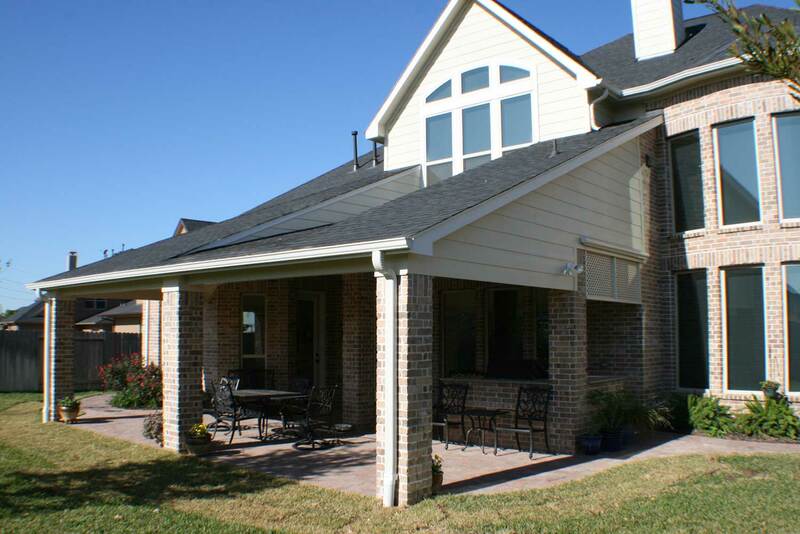 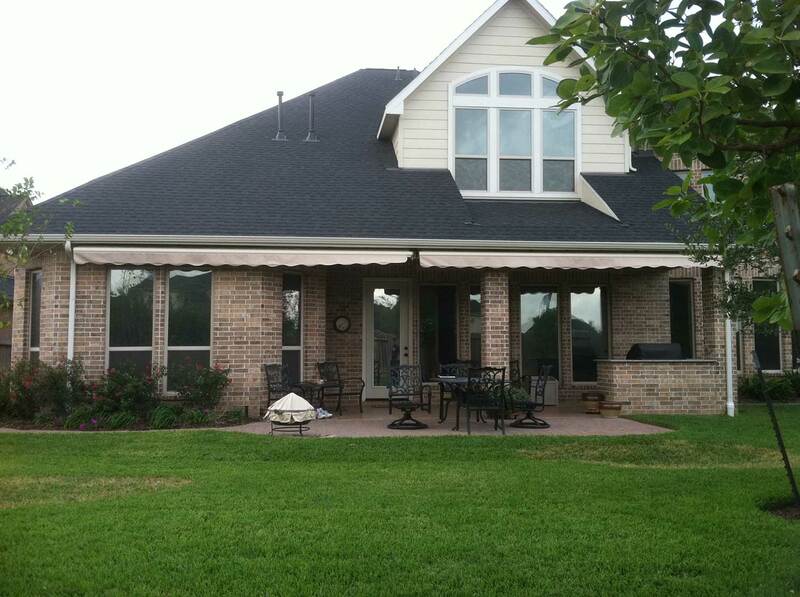 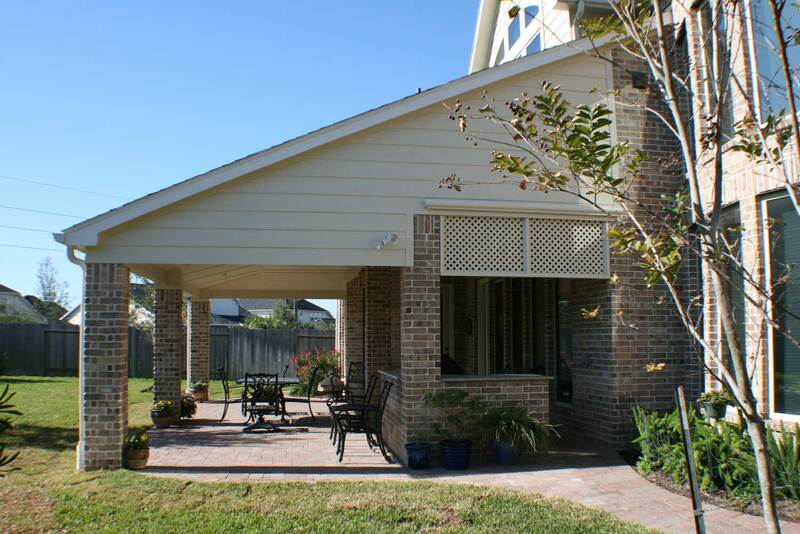 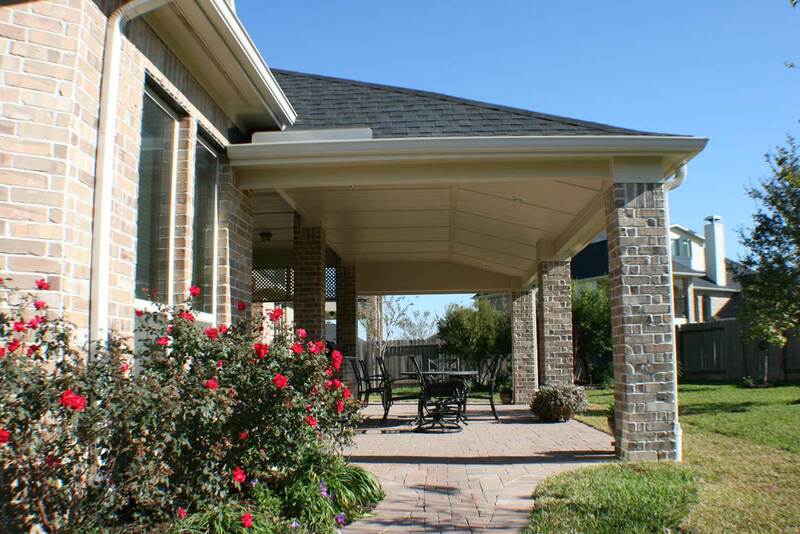 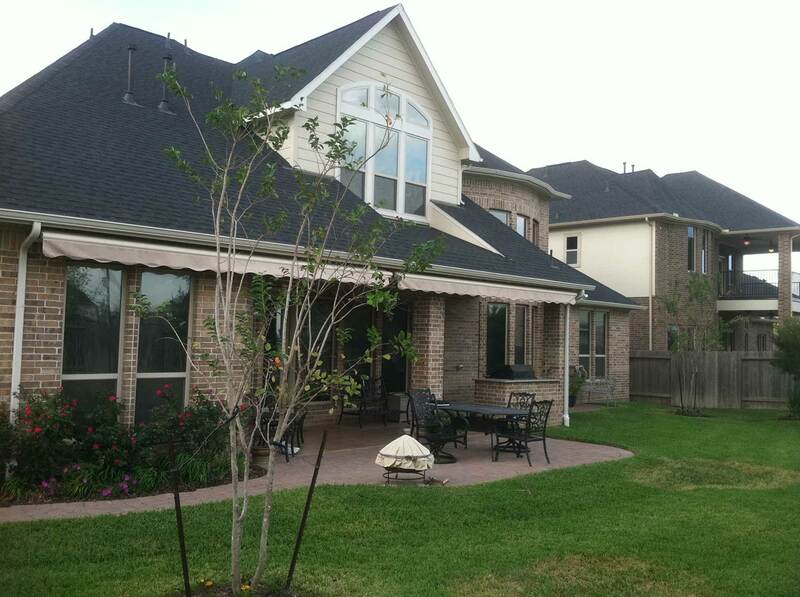 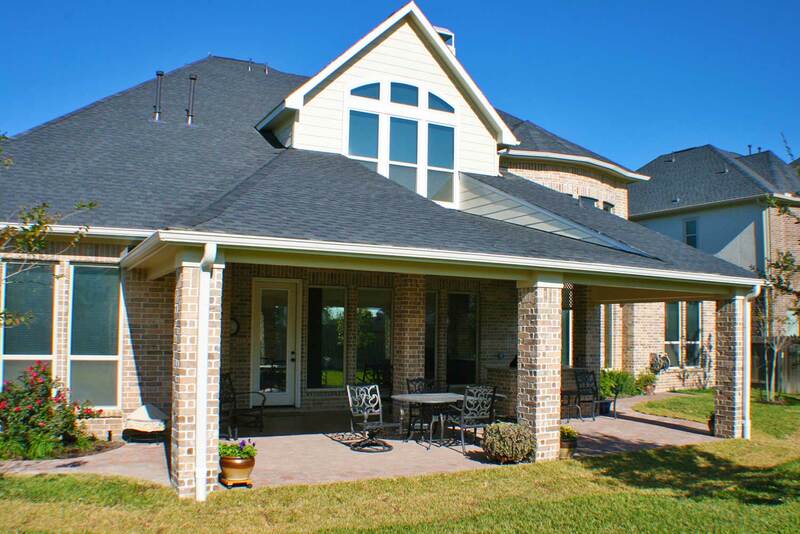 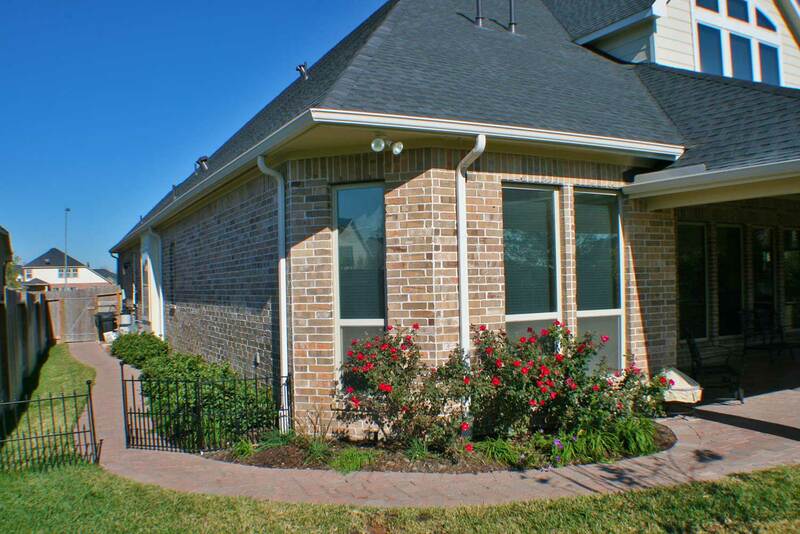 This patio cover in Katy, TX was an interesting project that came with some unique challenges. 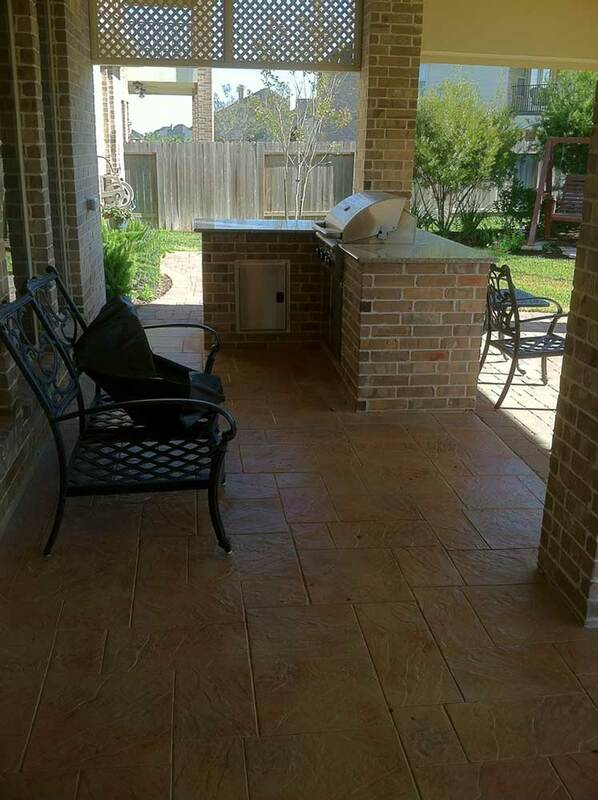 As you can see from the before pictures, this house already had an existing patio construction with an outdoor kitchen but the space was rather small. 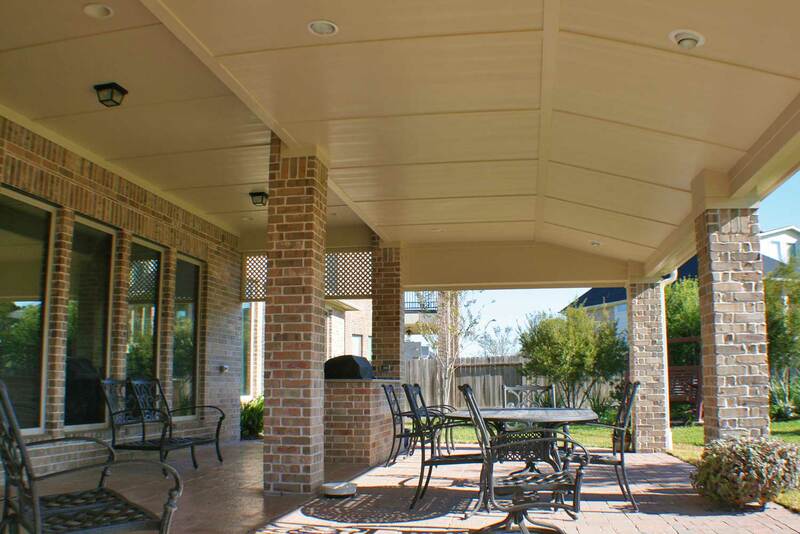 The challenge was to extend this patio cover without compromising the height of the patio and at the same time give it the right degree of elevation. 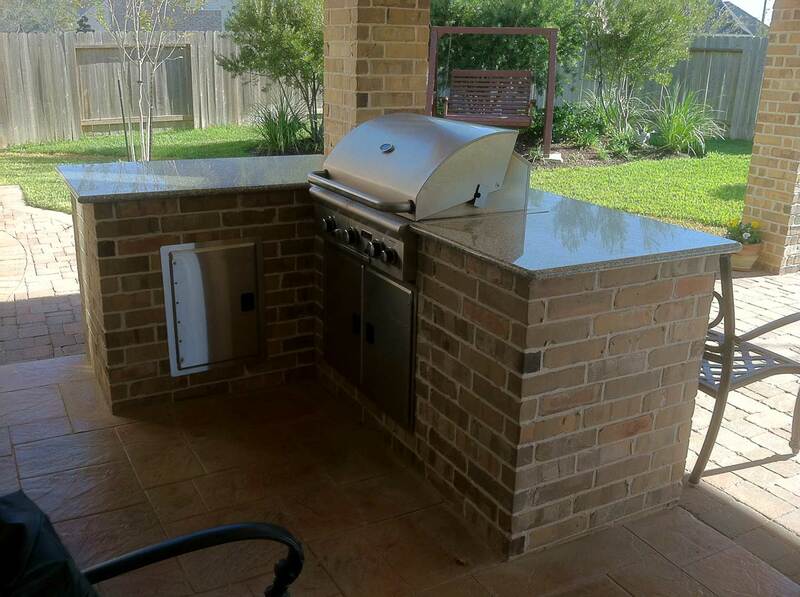 Once this obstacle was overcome and a design was proposed, our team of professionals immediately got to work. 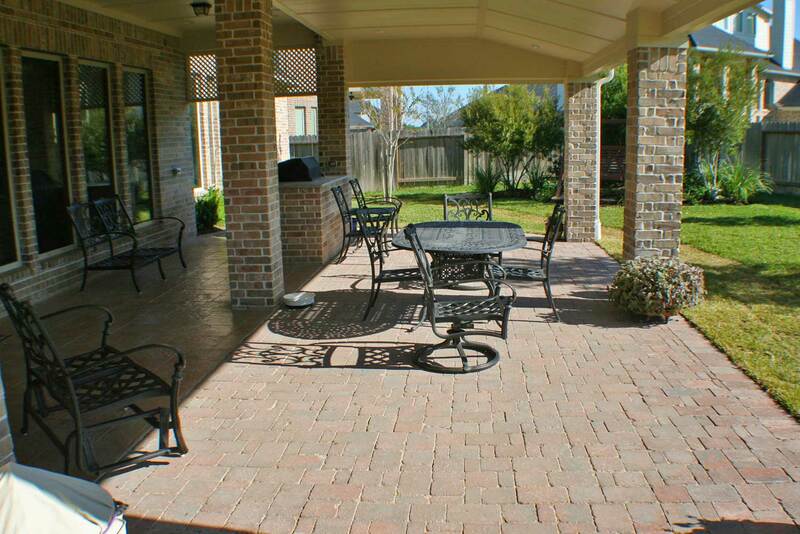 Brick columns that matched the color of the house’s bricks were built, as well as a beautiful pavestone floor featuring a sidewalk from the patio to the driveway. 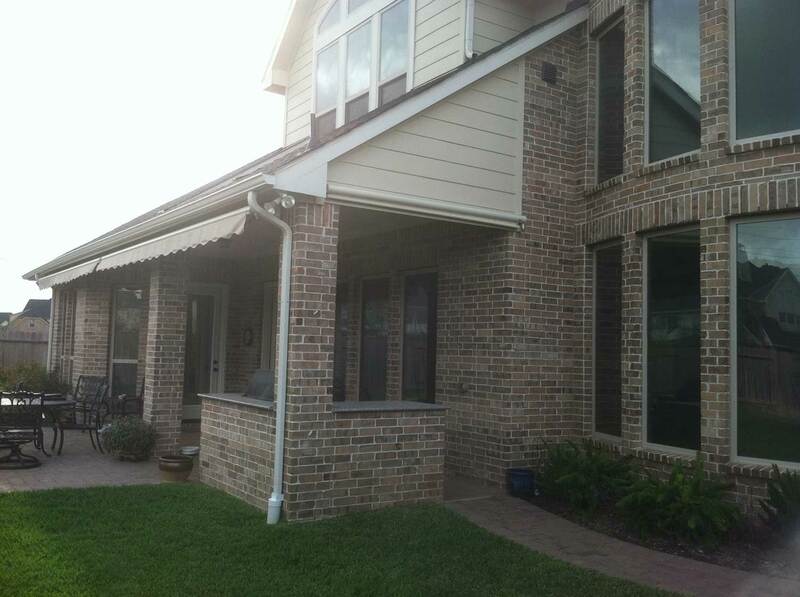 To complete the project we gave this patio cover an impressive elevated ceiling!